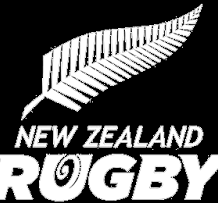 New Zealand Rugby (NZR) have submitted their bid to host the Women’s Rugby World Cup in 2021 (WRWC2021). If the historic bid is successful, Auckland and Whangarei will be the host cities and it would be the first time the WRWC has ever been played in the Southern Hemisphere. Under the plan matches would be played at Albany Stadium, Waitakere Stadium and Northland Events Centre, with Eden Park also available. The New Zealand Government strongly supports the bid, with backing from MBIE, Auckland Tourism Events and Economic Development (ATEED) and Whangarei District Council. Prime Minister Jacinda Ardern has said the New Zealand Government fully supports the bid by NZR to host the WRWC2021 in New Zealand. “We would be thrilled for the event to be held here. 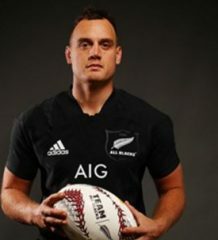 New Zealand is the home of women’s rugby, the Black Ferns captured our imaginations again when they won their fifth World Cup title last year, and our entire country would get behind the tournament and all the teams participating. 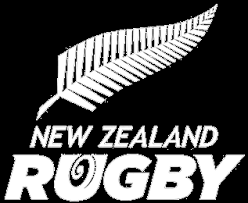 “New Zealand welcomes major events and has a successful track record in hosting and organising many large events including RWC2011, FIFA U20 World Cup 2015, Cricket World Cup 2015, World Masters Games 2017 and the upcoming America’s Cup in 2021. “It’s exciting to see the regional element to our bid. I know Northland will embrace games being held in their part of the country and their local support will be a key ingredient in its success. NZR Board member and former Black Fern #68 Farah Palmer said the WRWC is the pinnacle of women’s rugby and hosting the 2021 tournament in New Zealand would provide the platform for World Rugby to take the women’s game to the next level. As Black Ferns captain, Palmer led the team to three successive World Cup titles between 1998 and 2006 and is well placed to understand how the WRWC can empower players and grow the game. “The opportunity to host the event in New Zealand for the first time would be a privilege and a beacon to continue to grow the women’s game in New Zealand and globally. “The WRWC2021 provides New Zealand with an opportunity to continue to grow the Black Ferns legacy, inspire women globally, encourage girls and women around the world to pick up a rugby ball and provides opportunities to develop women’s rugby in the Asia-Pacific region. Palmer said she was pleased that NZR are exploring the option to host a Pacific Island women’s rugby tournament alongside the WRWC2021. A decision on the host nation will be made by the World Rugby Council on 14 November 2018.